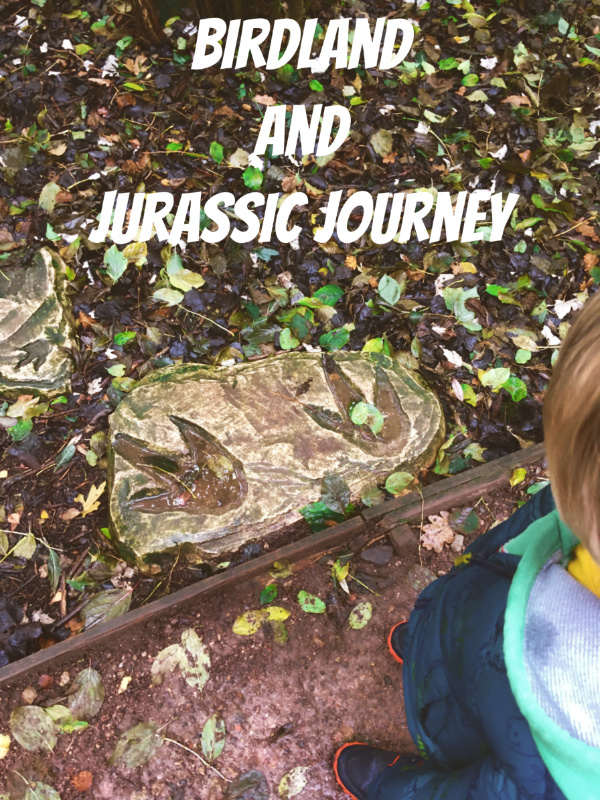 I have mentioned how we ended up at Birdland and Jurassic Journey in a previous post about our trip to the West Midlands. There’s a little more to the story. Aside from working Ted up into a frenzy of excitement with the promise of penguins and dinosaurs, my mother-in-law also piqued our interest with the promise of emperor penguins. If you know anything at all about penguins you will know that it is unlikely a provincial zoo in the UK will have the largest penguin of all as it’s star attraction. My zoology wasn’t a complete waste of time, I was surprised. I little investigation proved my mother-in-law mistaken. The penguins at Birdland are king penguins. As penguins go king penguins are large, impressive birds standing at 90cm (35 inches) high. However, an emperor penguin stands at 120cm (47 inches). So Was Birdland and Jurassic Journey a Disappointment? We got over our disappointment long before we got to Birdland and it turned into a lovely day. There was an impressive array of birds. Highlights were the flamingos, parrots and of course the penguins. The penguin feeding was definitely family favourite. We were able to get so close we could have reached over the fence and stroked the king penguins. We were warned that they bite so we kept all hands out of beak range. The Humboldt’s penguins looked great in the water as well. I’ve seen plenty of penguin flocks in zoos that don’t bother swimming but these guys were showing off, jumping out the water and coming right up to the underwater windows. 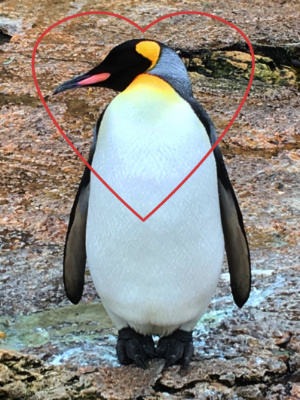 I fell head over heels in love with a king penguin called Bob. Bob hung out with the Humboldt’s penguins and I read on his bio that he had successfully raised chicks as a single parent. I may have become a little obsessed with Bob. We’ve been to our fair share of dinosaur themed attractions. This one was a great bonus attraction. The model dinosaurs all looked good and there were some nice additional touches to the walk. The fossil dig area was a hit, as always. 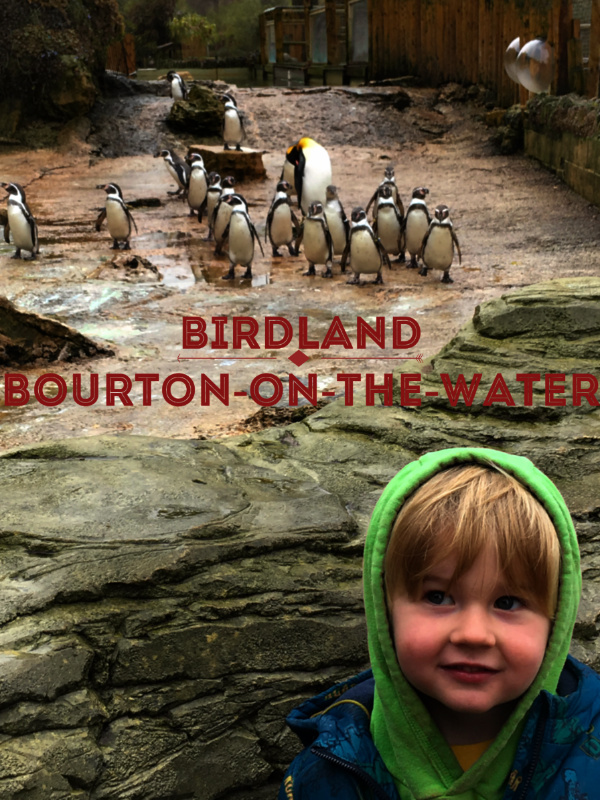 Birdland and Jurassic Journey is in the beautiful Cotswold town of Bourton-on-the-Water. The centre piece of the town is the river that runs through the middle. The whole thing would be idyllic except that on a drizzly November Saturday the town was jam-packed with tourists. Our family days out tend to be mid-week and in the winter months so we’re used to having attractions to ourselves. Birdland followed the trend, we were one of maybe a dozen families. Not so when we wondered into town. Bouton-on-the-Water has a number of small attractions you can pay to visit. We discovered one hidden gem and one to miss. I didn’t actually visit the gem. We spotted the entrance to a model railway exhibition in the back of a toy shop and David decided to take Ted round. 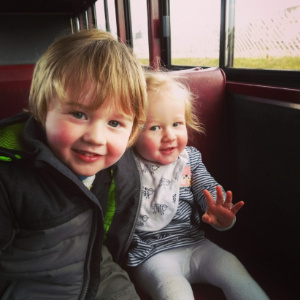 They both love trains and emerged half an hour later with massive grins. Needless to say, David highly recommends a visit. The attraction we wouldn’t recommend is the model village. It was fine but no better. Our first mistake was visiting as soon as we left Birdland. The entrance is just over the road so it made sense but we hadn’t seen the rest of the town at this point so seeing a model of it just wasn’t that impressive. Aside from that, the whole thing looked a bit tired and run-down. A few of the mini-buildings had been restored but there was a long way to go. One final note. An argument raged throughout the day about which bird stands on one leg, a flamingo or a penguin. It seemed David had one the argument when we had seen both birds. The we put our head in a Christmas shop and to Ted’s delight there was a statue of a penguin standing on one leg. Triumph in a 2 year old is wonderful!